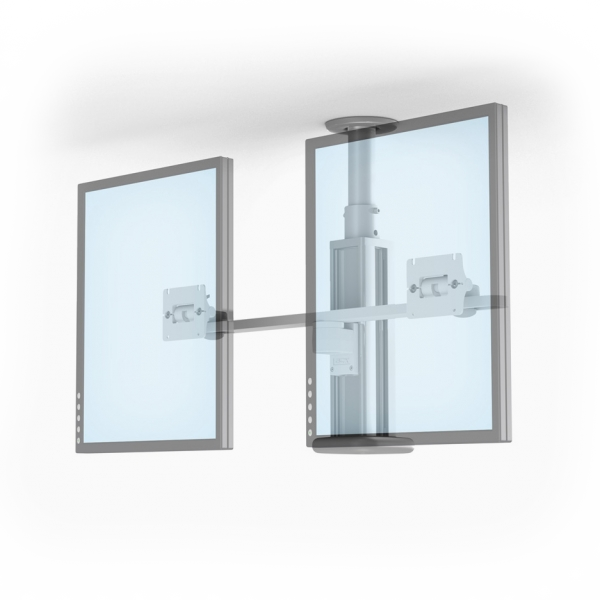 Dual channel columns allow standard GCX wall mounting solutions to be used for ceiling mount applications. Great for hospital areas where space is a premium. Adjustable and designed to suit you. 360 degree swivel adjustment for optimal positioning. The channel profile can easily be positioned for left/right or front/back orientation to accommodate different arm and application requirements. The port hole at the top allows cables to be run down the anchorage pipe and inside the column. This ensures cables are securely tucked away and covered for cable management.